Firstly I would like to thank Custom Art for this sample to review, I was allowed to pick the design I wanted for this pair. These have been used for well over 50hrs and no differences were noted. The FIBAE 3 come in a neat black cardboard box, open this box and you are greeted with a little leaflet thanking you for purchasing from Custom Art. Below this leaflet you will find the Peli Case (1010 size) that holds the monitors, along with the accessories. With custom products you don't expect fancy retail packaging so it's great to see these come in a nice but simple box. Overall I have no issues with the packaging, as it's not a product that will be displayed on a shelf it serves its purpose of protecting the monitors during shipping. Build quality is truly excellent, I opted for 2-pin recessed as I like to swap cables quite often and they are the strongest connector. The sockets are very well finished, but lets move onto the housing itself. The acrylic shell is perfectly finished to my eyes, the wood faceplate well aligned and with no visible seams or bubbles. Due to the rough finish of wood, there is a tiny bubble or two on the faceplate, but only if you look closely, the Custom Art logo looks great on the black wood faceplates. I opted for smoke shells, and they are dark but translucent so you can still see the drivers inside at certain angles, which is a really nice touch. The R tip is red and the L is blue, and to my eyes they look superb, I'm really impressed with the finish of these monitors. The cable supplied is the same that comes with most brands of custom monitors, it's a standard copper cable with memory wire and nothing to write home about but it should hold up fine over time. Accessory wise you get the Peli 1010 case to store them in, this comes with a small plastic pot of silica desiccant to prevent moisture damage, you also get a small blue clamshell case if you want to put them in something smaller, along with a wax cleaner tool for keeping the nozzles clean. Overall I don't think any other accessories are needed and the essentials are all included. 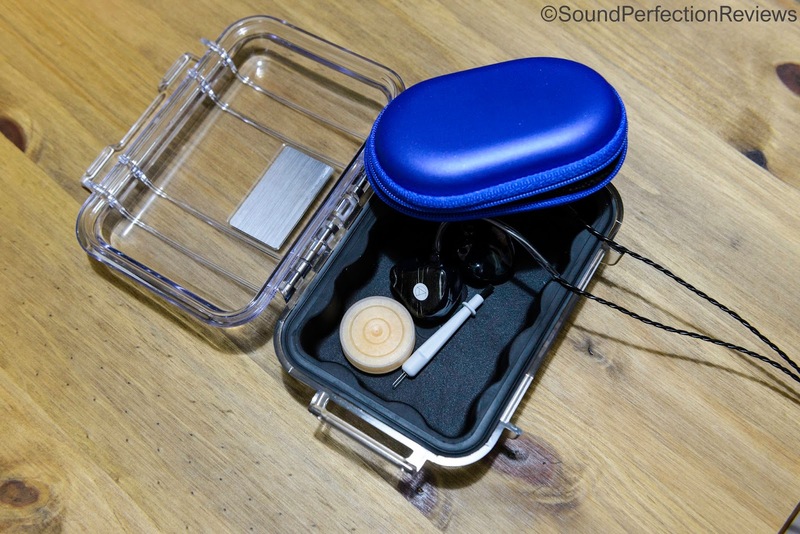 Overall the essential sound signature did not change drastically between sources, and this technology is really interesting. I was worried when I first got them out of the box that the R side was a little loose, but after some use I found both sides were in fact spot on, I can open and close my jaw without the seal breaking. They are a snug fit with no discomfort after long periods of time. A lot of this is down to good ear impressions, so make sure you get them done by someone who has plenty of experience (thanks Gisele @ Aid2Hearing). Comfort is excellent, these go a little deeper than my previous inearz monitors, but this leads to a more secure fit and superior isolation. Once inserted, the monitors heat up pretty quickly and disappear in my ears, they are very comfortable for long listening sessions, along with sitting nice and flush in my ears. Now for the part everyone has been waiting for (or skipped ahead to). Custom Art describe the FIBAE 3 as "A result of a carte blanche approach. Researched and newly developed drivers deliver reference sound without sacrificing punchy lows as well as improved presence of highest frequencies without adding harshness or sibilance. FIBAE 3 shares highly musical and engaging character of its bigger brother – Harmony 8.2. 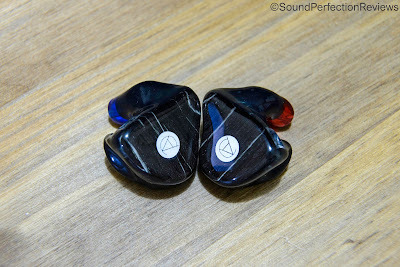 Consequently, this triple-driver IEM offers smooth, balanced midrange and high coherency that Custom Art is known for." Now this is a fairly true representation of the overall sound and I will go into detail below. Lows: Lets start with the sub-bass which is where these are really impressive, what Custom Art have done is create a light lift in the sub-bass to add a little body and fullness to the lows but without affecting the midrange. This sub-bass presence is really impressive, where a few lower end monitors struggle to present those last few Hz down low, the F3 really digs deep with precision and also presence but without adding bloat to the sound. 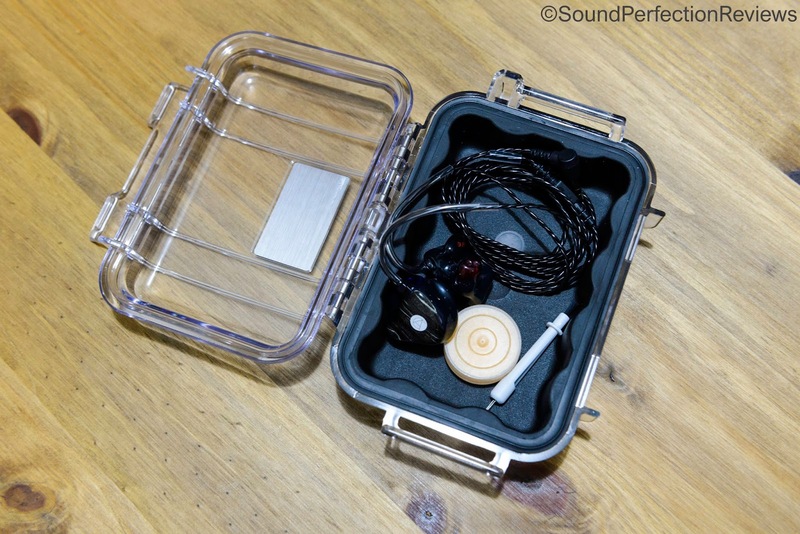 The mid bass is tight and controlled, backed up by the impressive sub-bass you get a very accurate full range of low frequencies. From the initial impact of a kick drum, to the picks of a double bass you get impact along with extension, no flat sounding kicks here. 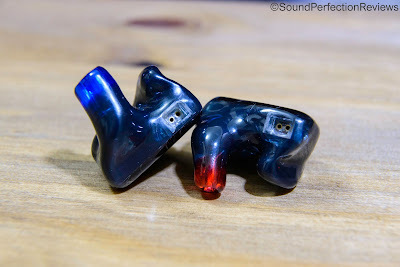 When people read Custom Art's description of a reference sound, some may think these are going to be a little bass light, but they are not lacking down low at all. There are not bass head levels of presence, but it is all there presented in a very full manner, I would never call these lacking in quantity or quality down low. 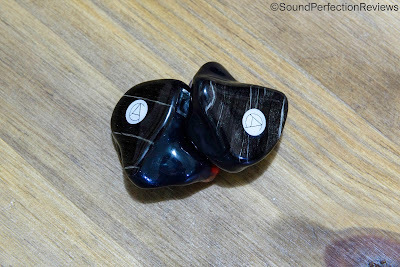 Midrange: What is impressive about the midrange of the F3 is it's ability to be completely separate itself from the lows, yet still sound so coherent and smooth. I don't find any part of the midrange to sound cold or clinical, yet it is still packed full of detail, there is a slight lift in the upper midrange but it is not something that makes male vocals sound recessed. Layering in the midrange is superb, if you have multiple guitars and vocals each individual part is easily picked out with great air and separation but without sounding detached. Vocals have a way of being up-front and seductive but they are not prominent in the mix, everything is still very evenly matched, you just get sucked into the alluring vocals that are full of details you might otherwise overlook. Robert Smiths vocals come out of the blackest background during Plainsong by The Cure, you can hear the pain in his voice as he delivers the haunting lyrics, this track sounds so full and complete through these. Some may find the vocals to sound a little dry, but I find them to sound quite true to the source, and very track dependent. The midrange can deliver great power too during faster rock tracks. Highs: The transition from the midrange to the treble does not have a spike and carries no excess energy, meaning these don't suffer from sibilance. Where these have a lift is in the upper treble creating a great sense of ambiance and air in recordings. Cymbals are not in your face, but they are not taking a back seat, again the initial crash is not overbearing but the highs are still there with great detail. What I like about these is the lack of fatigue inducing factors, but without making them a dull and boring sounding monitor. These are really fun to listen to, but there is never any part of them that I find overbearing or tiring. Now I personally am a little bit of a treble head, so a little added boost in the upper midrange/presence range would suit me fine, but these have superb brilliance up top that I have not felt the need to add any EQ tweaks. The soundstage is open and airy, nothing every sounds congested and the virtual stage expands outside your head with great accuracy, the soundstage is realistic and natural. This allows instruments to occupy their natural space in the recording. The separation is equally as impressive, these don't get congested easily, and handle heavy and complex mixes easily. 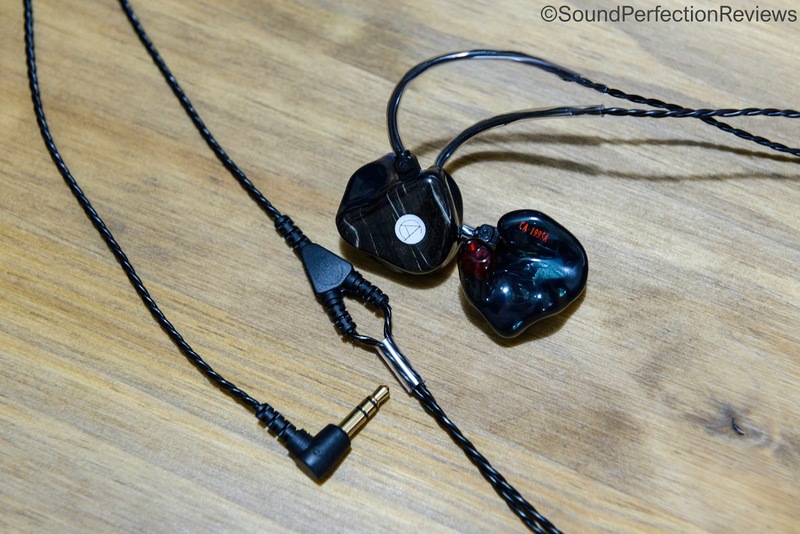 The F3 change quite a bit with different cables, and the sound can easily be fine tuned with aftermarket options. The excellent thing about the Zeno IEM cable is that is does not change the core signature of the IEM's it is connected to. This is true with the FIBAE 3, leaving the sound very much unchanged but with slightly better resolution overall. The separation is slightly better, but there is a little more clarity. Bass impact is tighter and a little more controlled, the midrange is fluid and natural, the highs crash with impact and extension and this pairing is overall a very good one keeping the core signature the same. Right away with the Viper you notice a subtle lift in the sub-bass which to me is not something I really want. This cable is a little v-shaped, adding a little bass impact and high end presence whilst not really adding much to the mids and leaving them a little behind. Snares are snappier and crisper, the highs are excellent but that tiny added impact down low doesn't make this my favourite pairing. The soundstage is similar to stock with this cable. First off the soundstage is increased in width, the sound is more envolving and expansive, the lows are very full and smooth. The midrange is cleaner with very high levels of detail retrieval, and there is no real added presence up top which allows the treble to extend and sparkle with ease but without fatigue. This cable is smooth, but very refined and packed full of detail, it is wide and effortless sounding and also a good pairing. The Ares II does add a little warmth down low, adding a little body to the lower midrange too, but the lows are still well controlled. The sound is not quite as quick in attack and decay down low now, but at least the added body is to the whole low end and not just a narrower boost like with the Viper. The sound is a little more organic, the midrange is smooth and detailed, and there is a slight lift in the upper midrange/lower treble bringing out a little more impact. 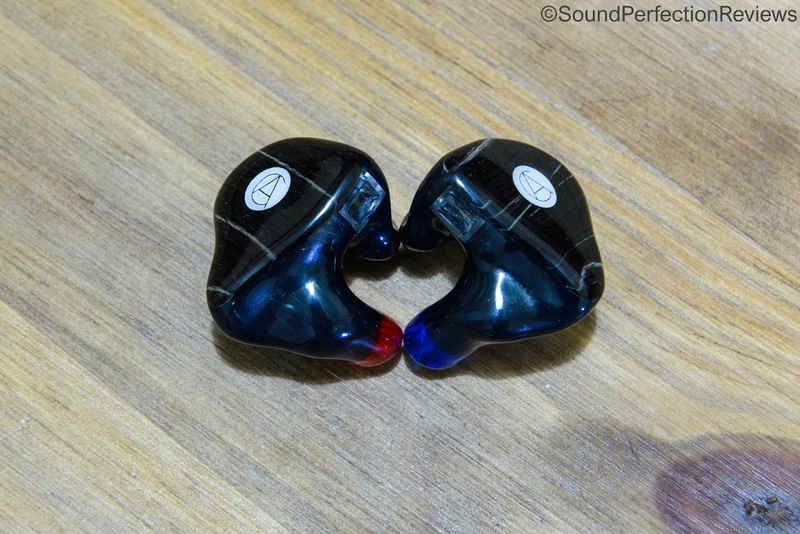 Overall if you are looking for slightly sweeter sound with a little more impact in the lower treble the Ares II delivers, and this is a great pairing. Like the Zeno IEM, the Eros II is one of my favourites as again it doesn't try to change the sound too much, it adds an extra level of clarity but without adding any harsh peaks. The Eros II works wonderfully with the core signature of the F3, the bass is still full and articulate, the space around instruments is increased and the midrange is crystal clear. The Eros II doesn't exactly add more sparkle, but it adds air that allows the highs to become more focussed and have a little extra sparkle. Now this is a superb pairing, likely my favourite for my tastes, as it doesn't add extra bass or detract from the core signature. Zeno IEM, smooth, natural, resolving. Ares II, full, organic midrange, sparkle, fun. Eros II, resolving, open, airy. 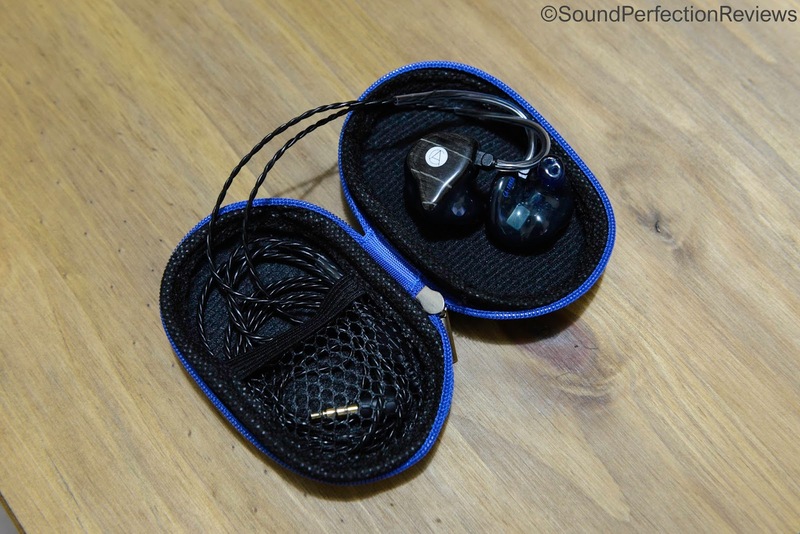 Conclusion: The F3 has a very unique and enjoyable sound signature, the sub-bass presence without bloating of the mid-bass and midrange is impressive, the air and extension up top without excess energy or fatigue, the alluring and intimate midrange that is crystal clear and beautifully separated all come together to form a coherent yet spacious sound that is immensely fun to listen to. Custom Art have really knocked it out of the park with the F3, offering up a well balanced monitor that is not bland, boring or thin. They lend their hand to all genres, and I found myself enjoying everything, from EDM to metalcore, pop to jazz. With regards to bang for buck, these really sound like they should be more expensive, they offer heaps of sound quality for the €525 base price. To me they are better than the Noble Sage, which is a little more expensive and only comes in a universal shell. 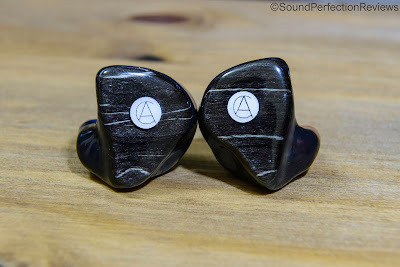 It is incredible what Custom Art have created, and one that shows you can still get excellent sound on a modest budget.